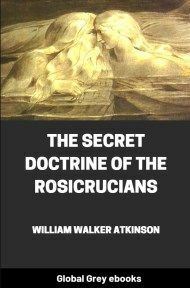 The student of the history of occultism and the esoteric teachings, and even the average reader of current books and magazines, finds many references to "The Rosicrucians," a supposed ancient secret society devoted to the study of occult doctrines and the manifestation of occult powers. 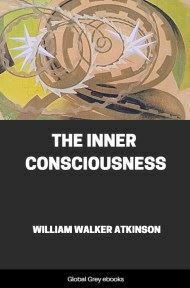 But when such person seeks to obtain detailed information concerning this supposed ancient "order" he finds himself baffled and defeated. Before acknowledging the futility of the quest, however, he usually investigates one or more so-called "orders" having as a part of their title the word "Rosicrucian," only to find himself invited to join such "order" upon the payment of a fee or fees ranging from a small amount in some cases to quite large amounts in others, each "order" claiming to be the "only original order," and asserting that all the others are base imitators. The truth is that there is not in existence, and never has been in existence, any popular occult order sanctioned by the real Rosicrucians, which anyone may join upon payment of fees, large or small, just as he may join any of the better known fraternal organizations of which there are so many. The true Rosicrucians have no formal organization, and are held together only by the ties of common interest in the occult and esoteric studies, and by the common acceptance of certain fundamental principles of belief and knowledge. This unorganized "order" has members in all walks of life, and in all countries, and its members never announce themselves as "Rosicrucians" to the general public. Admission to this unorganized "order" is never granted upon the payment of a fee, and is possible only upon the request and recommendation of three members in good standing who have themselves been members for a certain period of time, and who have attained a certain degree of proficiency in the attainment of the esoteric knowledge, and in demonstrating the principles discovered by them under the direction of certain higher adepts in the arcane wisdom. Members of the Rosicrucian body are prominent in the councils of nearly all of the occult organizations and societies throughout the world—in fact, it is these persons who are the real leaven in the general mass, and who keep alive the Sacred Flame of Truth in them. Many Rosicrucians are also prominent in philosophic and scientific circles, and some of them are men quite prominent in the large affairs of the business and professional world, and in the ranks of statesmanship. Others are prominent in movements like the "labor movement" and similar activities. Some are prominent in the councils of the various churches, and others are leaders in Masonry and similar secret societies. In all of such circles the Rosicrucians exert a powerful influence, and always in the direction of good. "The Brothers of the Rosy Cross"
The modern interest in the Rosicrucian Teachings dates back to the early part of the seventeenth century—about 1610, to be exact. At that time there were rumors of the existence of a society known as "The Brothers of the Rosy Cross," the officers and meeting places of which were not known to the public. The mysterious society was severely attacked by the ecclesiastical authorities and others, and was as vigorously defended by those who were interested in the general subject of occultism and the esoteric teachings. There were many spurious and counterfeit "orders" established during the following century, and for that matter in nearly every century since, but none have been able to show an undoubted connection with the original order. Some of the original teachings of the Rosicrucians have been incorporated in some of the higher degrees of Masonry, and have served a good purpose therein. The legend concerning the origin of the order—true in some respects, but erroneous in others—was as follows: That a certain Christian Rosenkreutz, a German nobleman who had donned the robes of a certain order of monks, had visited India, Persia, and also Arabia, and had returned bringing with him a certain Secret Doctrine obtained from the sages and seers of those Oriental lands. He was said to have established the original Rosicrucian Brotherhood about 1425, its existence not becoming generally known until nearly two hundred years afterward. 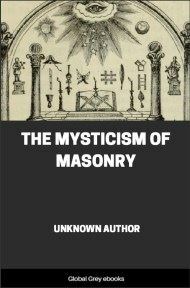 The true Rosicrucians, however, recognize this legendary tale as being merely a cleverly disguised recital of the real facts of the establishment of the unorganized order, which must be read between the lines, aided by the spectacles of understanding, in order that its real import may be grasped. 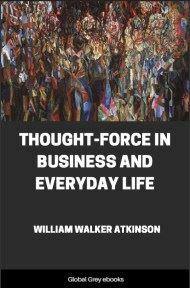 The present writer does not feel justified in telling in these pages the tale as he understands it, and as it has been transmitted to him by those in authority; in fact, to make the same public, he would be violating a most sacred promise, which would amount to a betrayal of his initiation secrets. He, however, is permitted to state that the Secret Doctrine of the Rosicrucians is a body of esoteric teachings, handed down for ages by wise men deeply versed in the esoteric doctrines and occult lore. 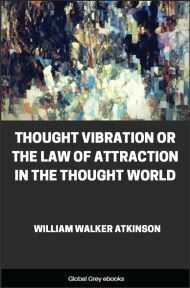 This Wisdom originally came by way of the Orient, and in fact even today comprises part of the Inner Teachings of some of the highest Oriental Brotherhoods. Its history is but another instance of the truth of the old Secret axioms, one of which says that we must "Look to the East, whence comes all Light." For many years little or nothing was permitted to be revealed to the general public concerning the Secret Doctrine of the Rosicrucians, but during the past twenty-five years there has been a greater, and still greater freedom in this respect, until today many important Rosicrucian teachings form a part of nearly all writings and teachings upon the subject of the Esotericism in general, and of the Higher Metaphysics in particular.